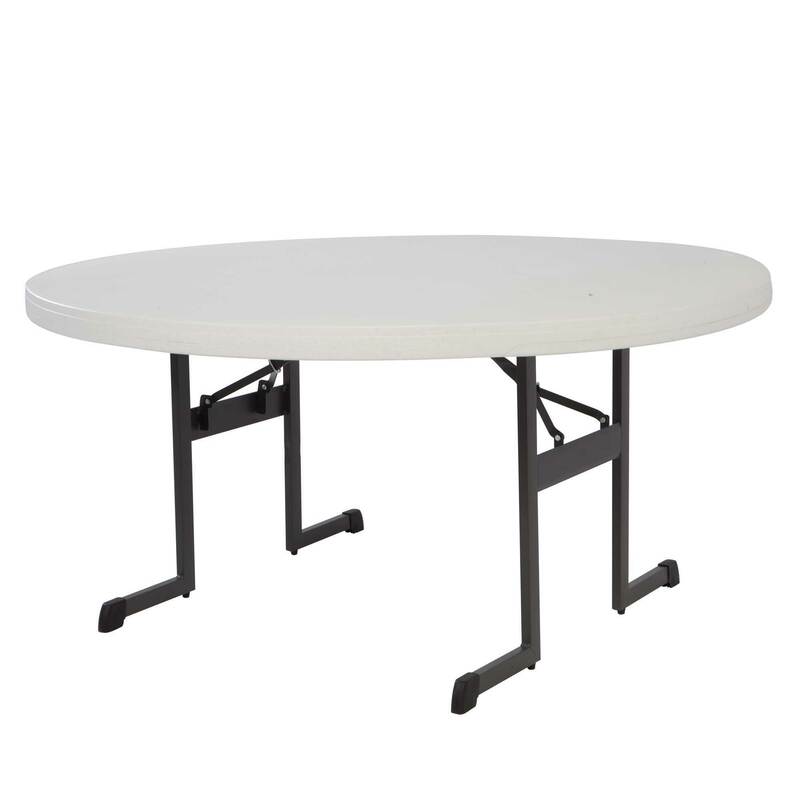 Lifetime plastic tables are now available in a professional grade. 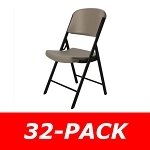 The 480125 is a package of 4 60 inch round folding tables with a sturdy folding frame capable of supporting up to 2500 lbs. The neutral putty color table top is suitable for most room colors. 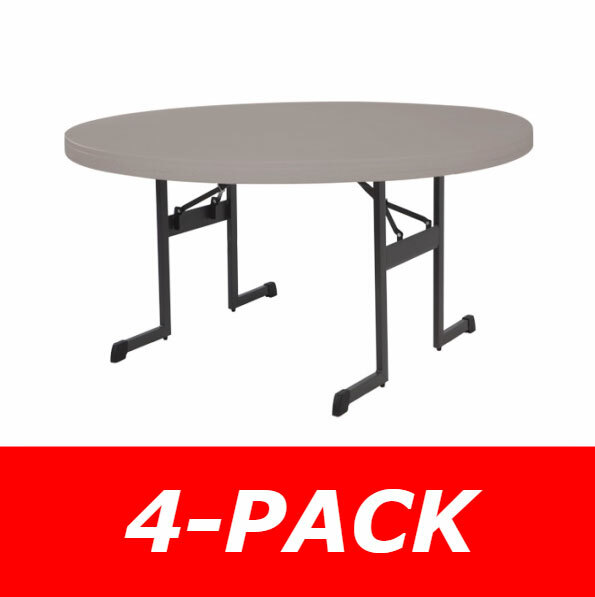 Save money per folding table with this package of 4 Lifetime folding tables. These tables come with a limited lifetime warranty from Lifetime Products. Also available in singles and 12-packs to save even more. Click here to view 80125. 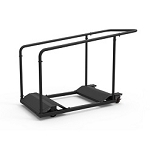 Powder-coated steel frame color: black. Powder coating helps the steel resist rusting. Comes with a limited lifetime warranty for United States and Canada customers. Table top weight capacity: 2500 lbs. evenly distributed weight. Table top thickness: 2.25 inches. 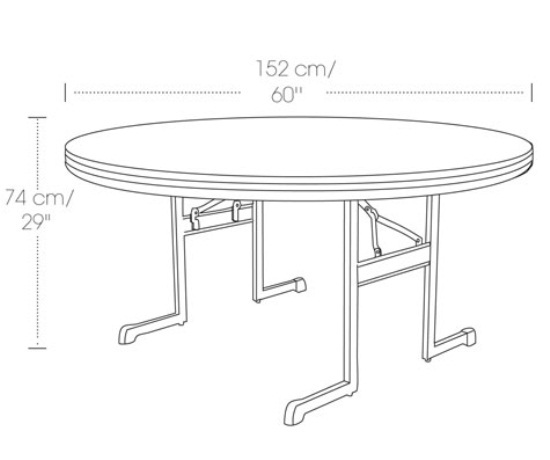 Table top dimensions: 60 inches diameter. Table top height (unfolded): 29 inches. Table top height (folded): 2.25 inches. A: This item has a Limited Lifetime Warranty through the manufacturer Lifetime Products. Dimensions: 64" x 64" x 3"